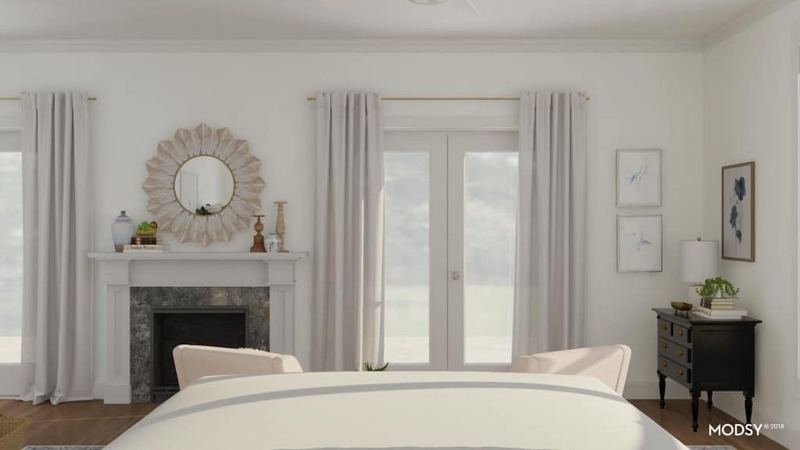 Virtual room design definitely takes the stress out of decorating updates. It’s something to consider when you desire a fresh look and not sure where to start! I receive so many cries for help and I sure do know that furniture layout and selection, choosing rugs and accessories can be so difficult. You may know what style you prefer but not how to put it together and our homes are often ever-evolving as times and tastes change. It’s time for my own home to grow up a bit, as honestly I have not done much in some of the rooms for years! Raising children, working and caring for an elder was time consuming and I think that many of you are rushed as I’ve been. I don’t think that you should feel badly about changing things in your home or shifting style preferences. 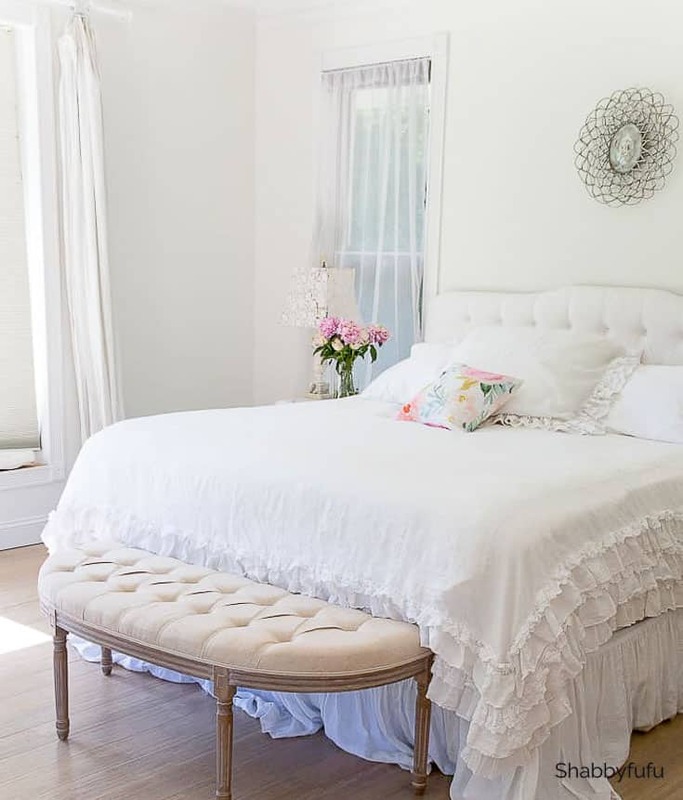 You do this with personal fashion, so why should your home be staid? I am not a professional interior designer but I am a trained artist and feel that I have a good eye. I enjoy giving you the tips that I’ve learned as a design blogger and in years of helping others design their spaces when I can. There are times though that even I seek advice from either interior design friends or a service that I’d like to introduce you to today. Meet MODSY, and I was compensated for this post, but the writing, enjoyment, and opinions are all my own. Here’s how the service works and how they assisted me with a practical plan to attack my master bedroom. Before I explain the service, MODSY has offered a generous 20% DISCOUNT to my readers with the coupon code: FUFU20. 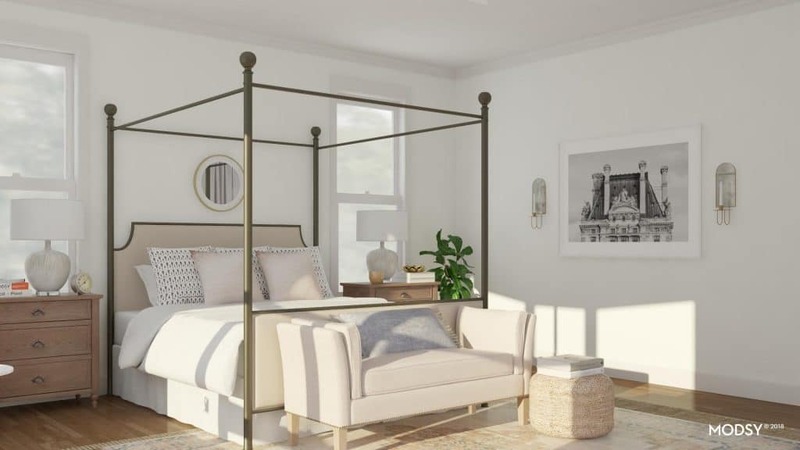 Modsy is a personalized home design solution that utilizes 3D visualization technology to let you try on furniture before you buy. 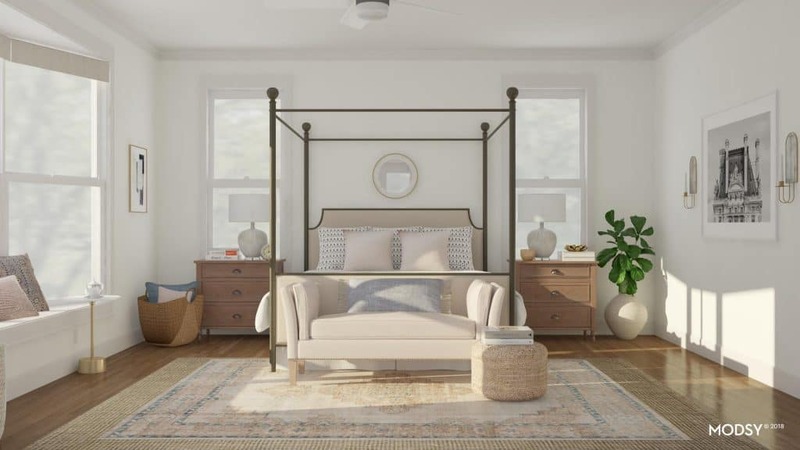 Once you head over to the site you begin by taking photos of your space to assist in the virtual room design. You’ll be using your smartphone and don’t worry about your room being a mess or removing items, as they will do that for you virtually! 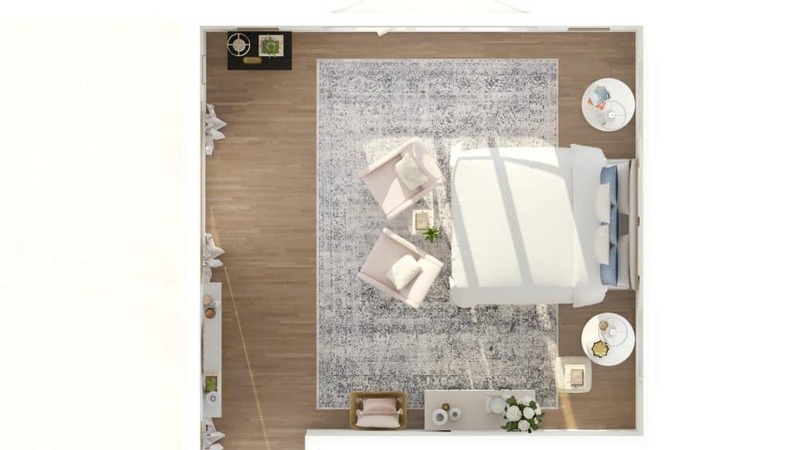 With a few quick photos of your room, they build an accurate 3D model of your space. 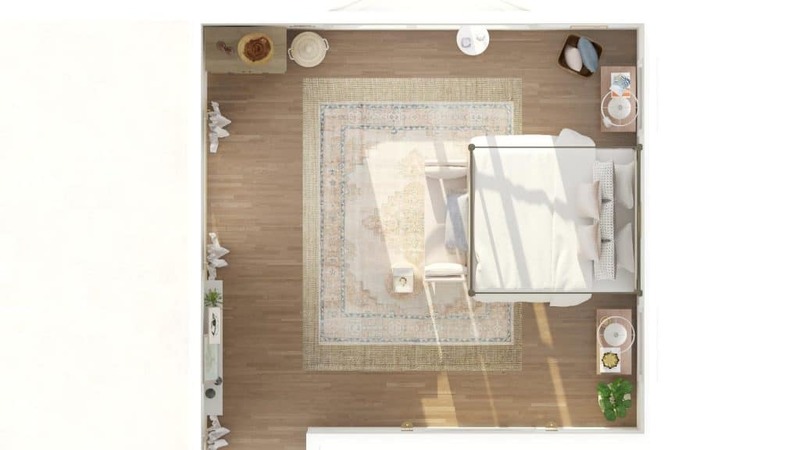 You’ll simply need to give them your space measurements and a floor plan. I did a quick sketch of my floor plan and my photos had one wall covered in boxes of items that I’m storing. Real life! Next you fill out a questionnaire explaining your vision and how you’d like to utilize your space. They work within your budget and ask which design styles you are drawn to in order to get a better idea of your aesthetic. 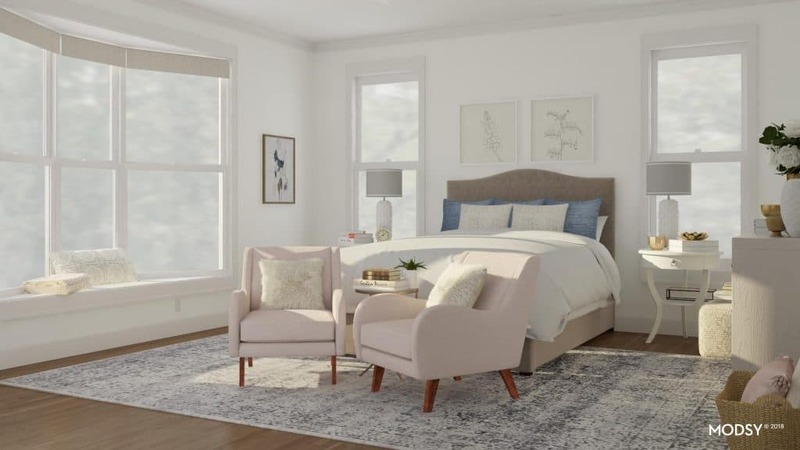 I was truly amazed at the virtual room design of my bedroom and I’m thrilled to be able to use these to make the room grow up! 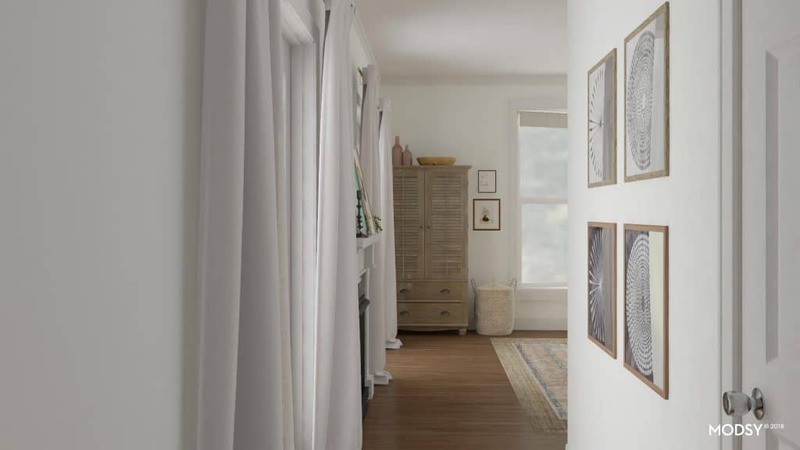 With MODSY you can see exactly how their furnishings would look in your space and make a decision from there. If you like the designs and some of the pieces that they suggest, you can even buy items directly from their links. You can design and shop for your home, in one place, with products from hundreds of partners! 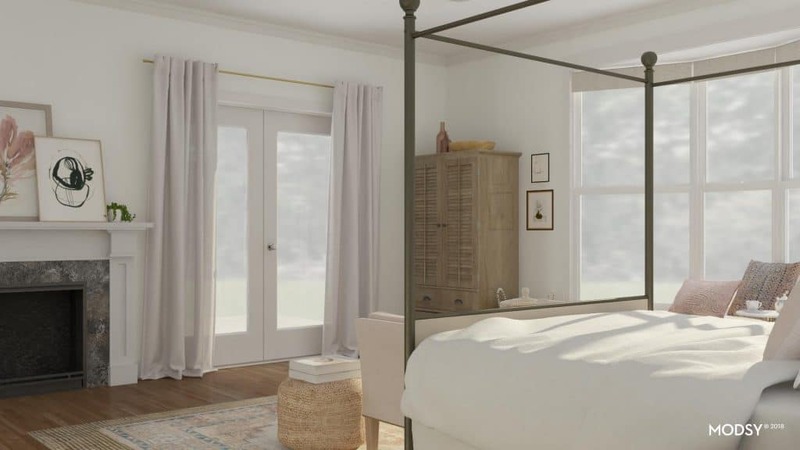 I was sent three virtual room design layouts for my master bedroom, incorporating styles that I love. I took photos from the angles that MODSY suggested with my phone and this is as you walk into the room through the doorway. The photos above are from the first layout of the room and the vibe is updated, clean and has a coastal vibe. 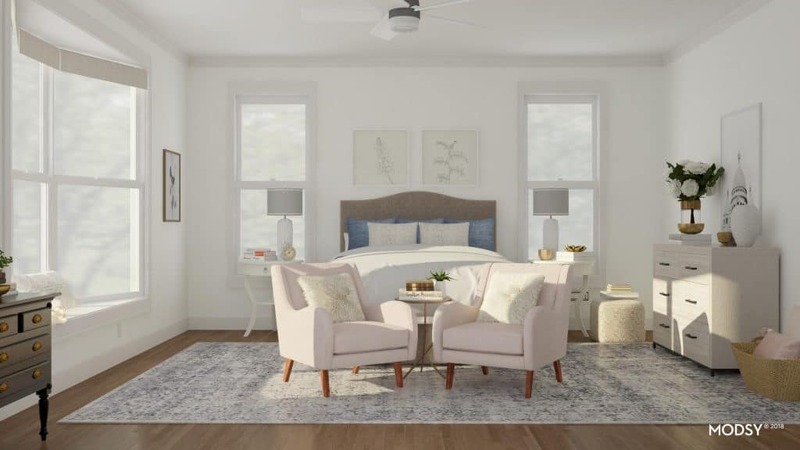 We designed our master bedroom as an addition to our home over twenty years ago and although styles have changed, the layout has not. I specifically wanted to place the bed in-between the two windows that you see virtually above. I asked MODSY to leave the floor plan as such, but that I needed more storage for linens. I’ve been considering which of the products I might purchase suggested in the floor plans and have already started making some changes! This is the second of the design plans that I received and provides more storage options than plan one. Modsy helps you truly take the guesswork out of buying furniture and the dresser has been calling my name! The plans all reside in your own MODSY boards for you to access at any time. There is no reason why you can’t combine styles and although I prefer plan one I’ve already purchased a rug as in plan two! In this view from the bed you can see the fireplace and the two sets of French doors that look out at the pool and garden. While most likely I won’t replace the antique mirror and French sconces that are currently over the fireplace mantel I do need new window treatments and love the suggestion of these silvery blackout drapes hung on gold hardware. A must do and now I know exactly where to find them! I know that you’re curious and I’m going to give you the link to the shoppable studio that MODSY created for me! But the following design number three is possibly my very favorite, so let’s explore the option below. This look really has the WOW factor and showcases modern femininity mixed with coastal and some glam. 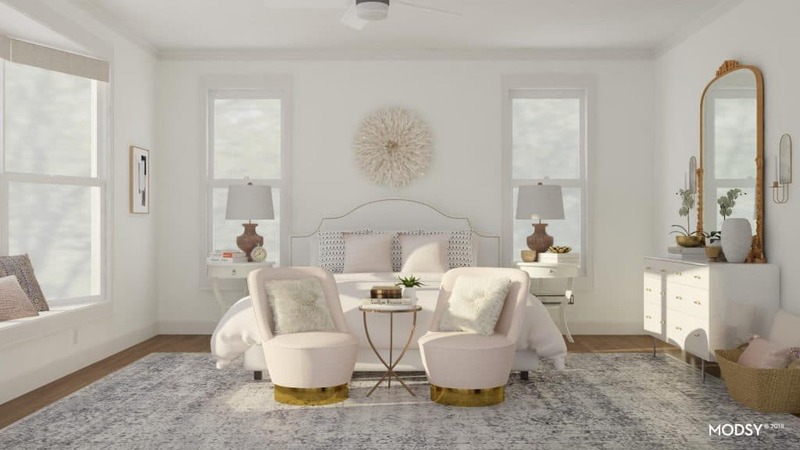 I think that my MODSY designer nailed it and I adore the grouping in front of the bed as a spot to sit and relax. While I won’t be able to do everything provided it gives me a base and a starting point to upscale as I can. I’m definitely planning on mixing in some of my own items and you can do that as well in your home. The dresser in this rendering really suits my style. 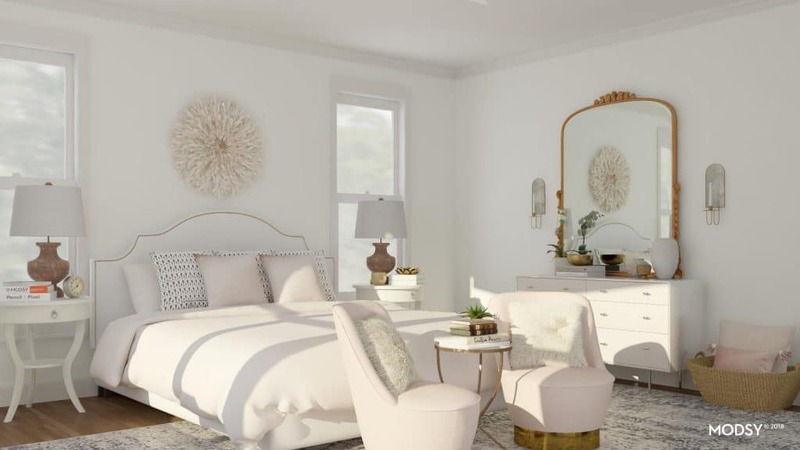 This is so well matched to what I discussed with my designer when asking for some changes that I already have the mirror shown in another room! I am able to go in to Modsy and ask for more suggestions and changes and if I’m working with clients I would most definitely use MODSY to give them designs that I curate with the service. Now let me ask you…which of these virtual room design selections below do YOU prefer and why? I encourage you to visit the MODSY website and consider this affordable service for your home space. They will design within your budget and please use my coupon code: FUFU20 for a 20% discount off the design package of your choice. Visit the shoppable studio of the 3 designs that they created for me. Okay, Modsy is a new one to me. I think many people are intimidated by the idea of working with a “designer.” Using a service like this would be so much less stressful. Hi Janet! For me, I personally like design one! My style is definitely a coastal vibe. I have always wanted a couch or small seating in front of my bed! Maybe in our new house we can! Love this idea! You have so much light in your bedroom! I love style #3 for you. I think it is the best representation of your style! Thank you for sharing! How much fun is that??? I would be on this all day. I think it is nice to be able to do this, as I am not a visual person, and this would help me see my vision for the room before I buy. All the rooms are just so beautiful. Wish we had a bigger bedroom so I could have a place to read and quiet time. Love some of these ideas. This is perfect timing Janet. We are re-designing my husband’s office right now and our formal living room is next. Modsy may just be the help we need. I just love the decor! Everything is so clean. With two kids, my home will never look like this and most likely, there will be stains around the furniture. I’ll have to check out the website! What a great service! I like design #3 as well. omg i am LOVING all of this- they are so bright, welcoming and inviting! great choices my friend! I have never heard of Modsy before, but I certainly love those designs. I think the clean coastal vibe would be perfect for a beach house! I am redoing my daughter’s bedroom and I got some great ideas from this post! It is amazing how awesome her bedroom will be next year! I love 3 but would use the nightstands from 1 , I think the warm wood tones add coziness to the room. Pretty amazing what they can do! Any of this room will give me a nice and relaxing sleep. It may offer different size floor plan but each has unique beauty and style. All of them are my favorites. Janet number 3 for sure. It just has you written all over it! I haven’t tried one of these before, but it would come in handy while redecorating our boys’ rooms. They’ve been asking for an upgrade. I love that design number three. I think Modsy wold be able to help me with my lack of style when it comes to room designs. What a neat idea that is to do. I do adore that pink cabinet. Looks really farm style. This is perfect timing for me. I was just thinking that I need to update our master bedroom design. There are some great ideas here. Wow, these are all so beautiful, but number three hands down is my favorite. 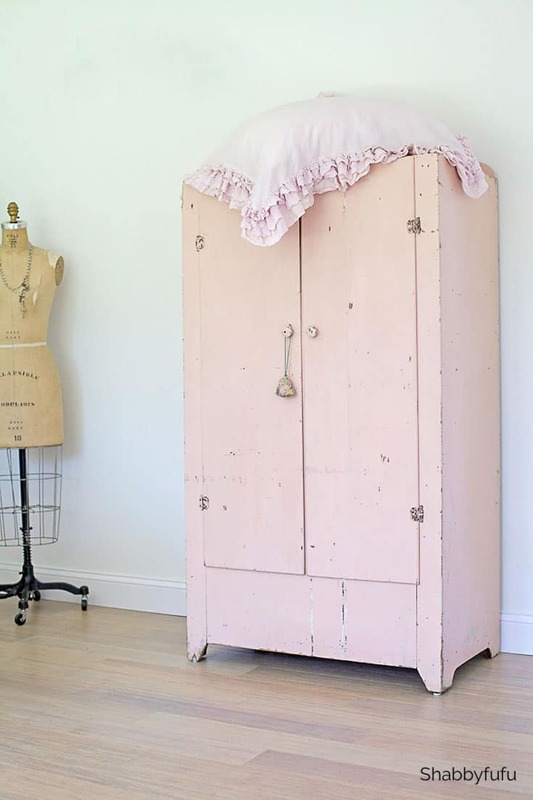 I hope you plan to keep that pink armoire, I LOVE that! I love the different options. I am leaning towards the cleaner version 1. I may have to try it out. I love all these spaces! So bright, and light and comfortable. I would love to get some of these for my house. I need to update a lot of our furniture and decor. I love how comfortable this looks. I am going to have to try to virtually design my room to get some ideas. It is very oddly proportioned and the windows are placed in inconvenient places. This is a great idea for seeing what furniture looks like before buying it and having it set up. Very nice! Thanks for sharing. Bedroom is one of my favorite space at home. Who would not love to be sleeping with a very beautiful and cozy place like this. I need to change out my comforters. Oh my goodness. Design number 3 is screaming at me.I would love to do something like that with my bedroom, how gorgeous. They all are! I like number 1… totally out of my comfort zone BUT I really like it. The room is huge and can handle that bed frame. number 3 is reallllly pretty but too girly (husbands words) for the Mr. EXCITING !!!! I wld luv a fireplace in the Master. This is a great look. I love all of them! This would be something I’d really like, just not sure my husband would. What an incredible service. I am actually looking for something like this since we are doing a little redecorating. I like #3 but the chairs from #2 because I like to pull my feet up when watching tv sometimes. 😉 We had a sitting room in our last house in our bedroom and it was wonderful. Enjoy working with Modsy! 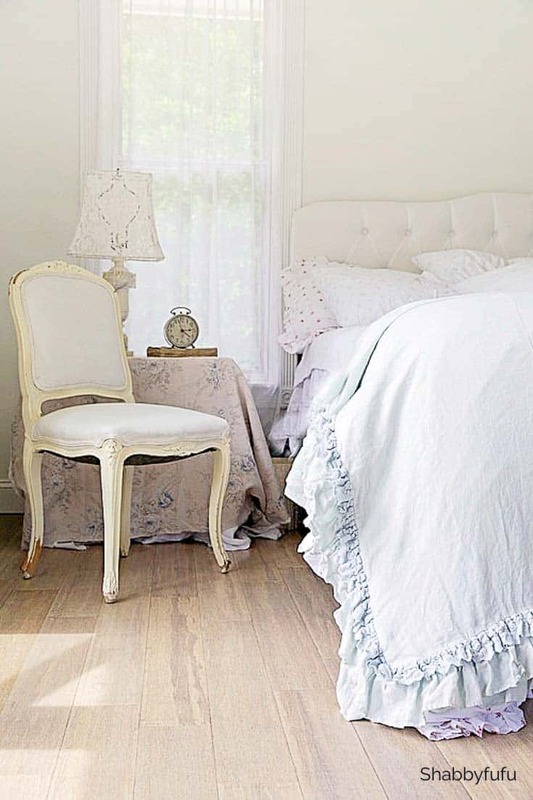 You should have seen the house I looked at yesterday… Beautifully done and styled! I have heard of them and now that you explained it. It looks like a great service. I have an eye for decorating and love doing it! But sometimes you need that extra help! I will check it out! I love all the spaces the second is my favorite.